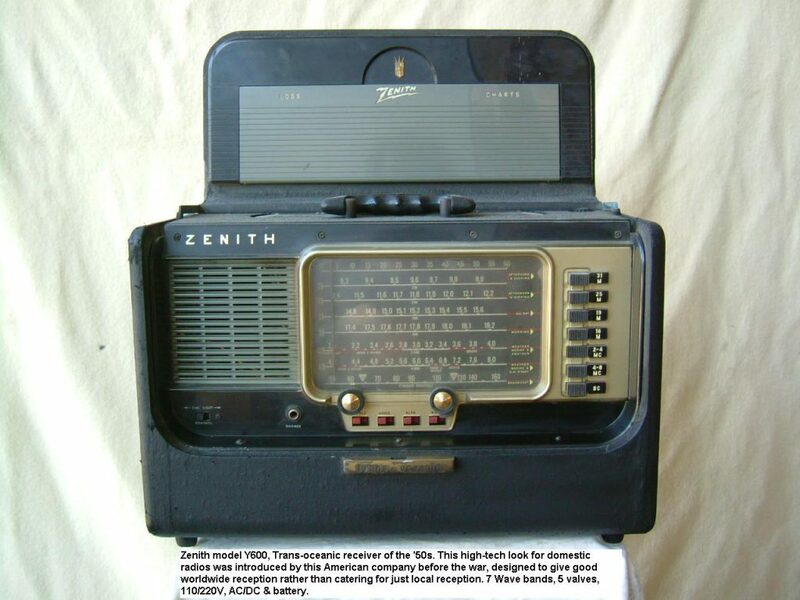 Zenith model Y600, Trans-oceanic receiver of the ’50s. This high-tech look for domestic radios was introduced by this American company before the war, designed to give good worldwide reception rather than catering for just local reception. 7 Wave bands, 5 valves, 110/220V, AC/DC & battery. Για να δείτε την παλαιότερη έκδοση πατήστε εδώ. Next story 1936 Ferguson 378 A.C.